Scott LaFoy has learned a thing or two about buying and selling out of home companies in the course of a 34 year out of home career. He is in charge of Mergers and Acquisitions for Link Media Outdoor. 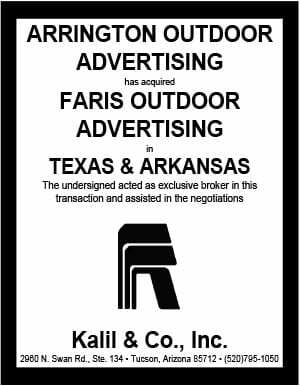 Prior to that he was a General Manager for Fairway Outdoor in Chattanooga, Tennessee (2015-2018) and the owner of LaFoy Outdoor, a company he sold to Fairway Outdoor in 2015. Scott, how did you enter the out of home business? My wife is a CPA, and during and after college she worked at a firm where one of the accounts was Peterson Outdoor (now CCO), the largest full-service OOH operator in Orlando, FL. She worked with the owner and the president, who were looking for new young blood, and I ended up with an interview and my first job out of college as a real estate rep and soon after, an account executive in the sales department. This was 1985. Little did I know that Jon Peterson, the owner, would become my business partner 14 years later when we started LaFoy Outdoor. What lessons have you learned in the course of a career buying and selling out of home companies. I have learned that honesty and integrity are the bedrock character traits that define a person and a business, whether you are a buyer or a seller. These traits seem to be fundamental to quality and value. It’s easy to identify attractive assets, but it’s very important to be able to understand or demonstrate the quality of a company or a set of assets based on the character of its owner or manager in terms of what level of overall value you seek or present in a potential business deal. I’ve dealt with all types of people and businesses, and I have learned to look for these traits in others, and to try and demonstrate this myself in every way I interact with people. I have also learned that there is no asset that we absolutely have to have. Sometimes sellers can be unrealistic about future valuation, but buyers have to make decisions based on proven asset performance, although upsides do figure in. I always seek a win-win relationship as a buyer or a seller, but we are not the type of company that is dead set on gobbling up anything we can buy at any cost. What information helps you to quickly evaluate a potential acquisition. Credible and tangible information strengthens efficiency in evaluating a potential acquisition. Plenty of people have big stories about how great something is, was, or can be, but the proof is in the pudding when supported by quality sales contracts, leases/property rights, and measurable performance data regarding people that are responsible for selling, leasing or managing the business of the assets. A good asset is made great by the quality of its operation and oversight. Specifically, we can evaluate any potential acquisition very quickly once we have basic information on sales and expenses. When one is interested in selling something it makes the most sense to be ready to provide credible information. In the end, there are no secrets so it’s best to get everything on the table on the front end. Link understands trust, discretion and confidentiality, so a seller can be comfortable working with us in an open information environment. Are there any parts of the country or any kinds of plant which are of the most interest? When I joined Link, my territory was limited to North America, so there aren’t many places we won’t consider. We are active in both executing tuck-in acquisitions within our existing footprint as well as moving into new and different geographies. We are more interested in quality companies and assets than any particular geographic area, although we really like interior parts of the country including the mid-west. We don’t focus on any specific kind of plant, but we do prefer a concentration of inventory in a specific market or area as opposed to being spread out with just a peripheral market presence. 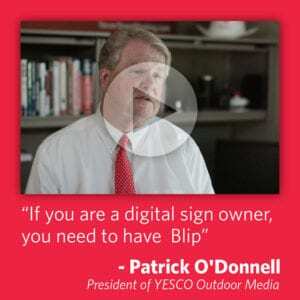 We operate all types of standard OOH assets including bulletins, posters, and digitals. How do you decide whether you want to enter a new geographic market where you don’t have a plant. Is there a minimum plant size? As we saw in 2018, Link is willing to grow into new territories and markets. We prefer a plant size capable of supporting itself, and we are big on retaining employees and providing them with new resources and opportunities. We look for quality assets and experienced people to manage them. If we can execute an efficient deployment of capital and invest in quality assets and quality people to operate them, then we’re interested. Link is not only about acquiring poles, permits and contracts. We appreciate the people that made those assets valuable in the first place, and we recognize with large acquisitions that often human assets are in many ways as important as the physical assets in terms of being able to unlock the intrinsic value of the assets. This approach has been attractive to both sellers and employees. Sellers are glad to see we want to take care of their people and employees have benefitted from our lucrative, incentive-based programs. Many of the emerging rock stars of our company are people that had never heard of us a year ago, and never imagined their company would be sold and things could actually get better! If your out of home company is for sale or if you would like to discreetly discuss possibilities, contact Scott at slafoy@linkmediaoutdoor.com or 470-851-4700.